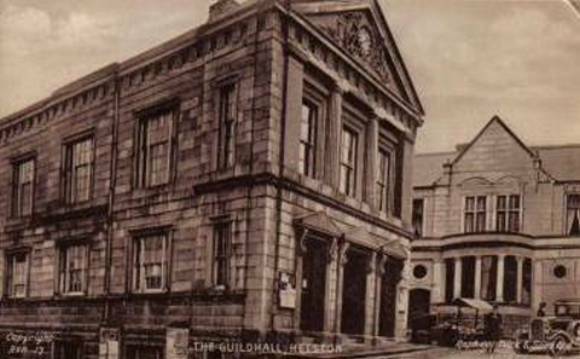 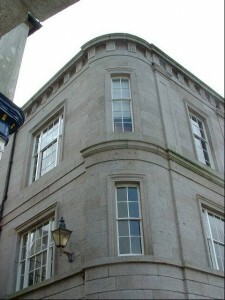 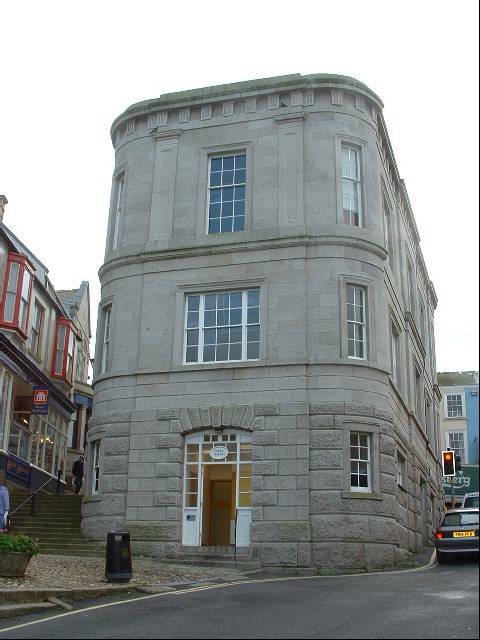 The Guildhall was constructed of beautiful Granite Ashlar on the site of the old market house in 1839. 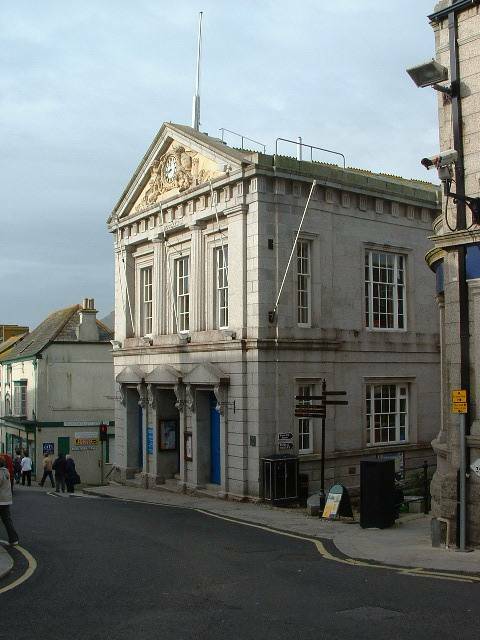 It has marvelous architectural features which make it the centre piece of the town`s historic buildings. 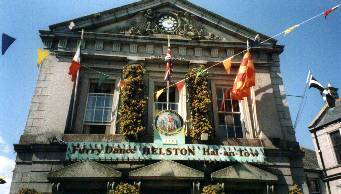 Inside it contains the Helston Town Council Chamber, Mayor`s Parlour on the top floor with a large function room below which was once the Corn Exchange. It is the starting point for the dances on Flora Day. 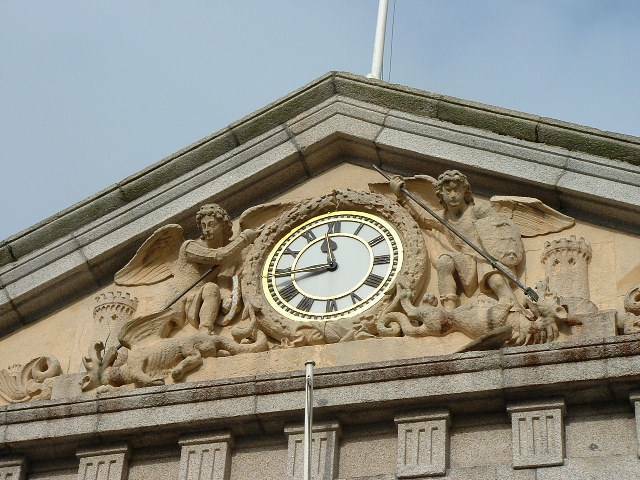 The historic clock on the front of the Guildhall depicting the battle between St George & the Dragon, which is played out as part of the Hal-an-Tow on Flora Day.